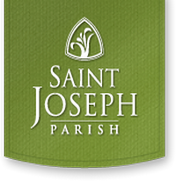 St. Joseph welcomes all and invites each person to full membership. In order to benefit from the many services offered by our parish, Catholics eighteen years and older are asked to maintain an official membership at St. Joseph. Active and supporting membership includes offering of one’s time and talent and treasure to assist in promoting the mission and work of St. Joseph Parish. If you are joining us for the first time or have worshipped with us and would like further information, we invite you to take a Welcome Brochure with you. Feel free to take one for a friend also! 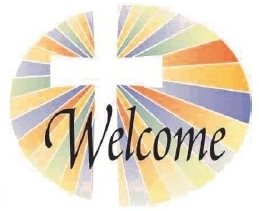 The welcome brochures are located on the bulletin boards located near the church entrances and at our Hospitality Table inside the main church entrance. If you would like to establish your parish membership, please stop in the parish office Monday-Friday from 8:00 a.m. – 4:30 p.m. or on Sunday mornings between 9:00 a.m. and Noon or call 262-375-6500, x121 to make arrangements.. Four times each year, we also sponsor a Welcome Weekend at which time those who wish to are able to register following all the weekend Masses. Who are you? Are you married with kids, worrying for them and committed to their welfare? Are you divorced? Are you married for the second, or even the third time? Are you a single parent struggling to make ends meet, but also hoping to have love in your life again? Are you gay or lesbian? Well if you are, then you belong to us because you belong to Christ. The Good News is that Christ is the host here today and he welcomes you as part of his body. The words from the Gospel are addressed to you: Peace be with you. Are you lonely? Are you a widow? Are you a single man or woman who would prefer to have a spouse? Are you disabled or disfigured? Have you run out of luck? Does your life seem flat? Is your faith on a slowdown? Well, if you are, then you belong to us because you belong to Christ! The Good News is that Christ is the host here today and he welcomes you as part of his body. The words from the Gospel are addressed to you: Peace be with you. Are you struggling financially? Have you been laid off? Out of work because of downsizing? Does it seem like you can never quite get it all together? Well, if so, then you belong to us because you belong to Christ! The good News is that Christ is the host here today and he welcomes you as part of his body. The words from the Gospel are addressed to you: Peace be with you. Are you struggling with family-planning questions? Have you been a victim of abuse or violence, or of a crime? Are you fearful? Are you a criminal or imprisoned? Do you have a past about which you feel ashamed? Are you homeless or hopeless? Well, if so, then you belong to us because you belong to Christ! The Good News is that Christ is the host here today and he welcomes you as part of his body. The words from the Gospel are addressed to you: Peace be with you. Are you new here? An immigrant, maybe? Are you from another Christian tradition? Are you full of doubt today, like Thomas? Are you fearful like the disciples were? Has it been a while since you darkened the doorway of this church? None of that matters. You belong to us because you belong to Christ. The Good News is that Christ is the host here today and he welcomes you as part of his body. The words from the Gospel are addressed to you: Peace be with you. All people of good will are welcome here: that’s the really Good News! If you’ve been away, you can come back; if you’ve been living in darkness, you can come to the light; if you haven’t been able to believe without seeing him, look around you, the Body of Christ has come to Mass today. Sinners are welcome, saints, too. Everyone is welcome to come to Christ, our Lord and our God, indeed! © PastoralPlanning.com. 2009. Permission to reproduce for your own use is granted.